Especially each and every Domain Name always renew after a year. While People make mistake sometimes or forget to renew their crucial domains. Therefore, these domains are available to purchase by others. Users spend years and lots of money in building and marketing their website. If they suddenly shut their business or don’t want to maintain their website anymore. As a result, these sites have considered Expired Domains. And you can pick up anyone. These domains may have high residual traffic, backlinks, and history. Hence, you can take advantage of these domains. Expired Domains are nothing, however, the fully dropped domain names. Hence, available for re-signing in with any domain registrar. Expired domains also called Private Blog Network domains. Private Blog Network is a set of PBN domain sites having excessive authority backlinks. Consequently, used in your money websites to enhance Google search engine rating. You just need to redirect targeted visitors to host’s website. An essential aspect is PBN domain sites individually are not related to each other. As we need the natural backlinks. Therefore, expired domains are beneficial to your private blog network. These websites help you to grow web page’s authority and backlinks. As a result of your webpage rank in a Google search. In this Internet World, thousands of domain expire every day. Especially, there are metrics available for measuring expired domain. The Metrics give all information about dropped domains. Metrics are Domain Authority and Page Authority measured by Moz. It must be greater than 20. Traffic flow (TF) and Citation Flow (CF) measured by Majestic. It must be greater than 15. Sometimes we think about where to find and purchase expired domain names. There are numerous unique places on the internet gives expired domain with exceptional metrics and statistics. Additionally, they offer Crawling Software Program tools for easy use. 1. Domcop: Find amazing domain names with great backlinks. Find amazing available domain names with the help of DomCop. It’s a great expire domain finder. Advanced search through more than 90 top metrics. From Majestic, Moz, Estibot, SimilarWeb, Alexa, DomainScope and many more. You are able to export 10,000 domains in a single cycle. Choose the metrics you only care about. Domcop helps for domain auction from Godaddy, NameJet, and DynaDot. 2. Register Compass: Search Domains with authority, traffic, and backlinks. You will get short 3 letter domains. You can integrate external services to Register Compass. Also, Export domain list through the mail. Register compass offers domain auction from tdnam.com and snapnames.com. Exclusive Pre-release domains from NameJet and TDNAM domains from Godaddy. There are domain names that others have registered but are willing to sell. You can search through FreshDrop. Your time is valuable to FreshDrop. Hence you just have to tell them the domain with criteria. They will let you know when they are available. FreshDrop have a hassle free 60 days no risk trial. In addition, Metrics offered by FreshDrop are MajesticSEO, Yahoo, Alexa, Google, DMOZ. Also, Archive.org, Quantcast, Compete, Overture, Wordtracker, Verisign, Whois and more. Valuable domain name become available every day. FreshDrop collects all expired, deleted and for sale domains into a searchable centralized database. Members search FreshDrop’s database for profitable domains. Members can buy, sell, park and redirect the domain after purchasing it. FreshDrop have collaboration with top domain auction houses and aftermarkets. These auction houses are, Godaddy, NameJet, SnapNames, DynaDot and many more. First of all, FreshDrop formed in 2007. It has a first commercial centralized search engine to find such domain names. 4. Domain Hunter-Gatherer: Valuable expired domain names hunter. DHG is a specialized software for entrepreneurs. Allows them to discover expired domains names fast and efficiently. First, you could use it to crawl multiple domain auction websites. You can scoop up the latest and best-dropped domain names. Secondly, you could use domain hunter-gatherer to crawl web 2.0 websites. Here you get unlimited high PR Domains. You can build your network of websites. Very simple setup. Find domains from a keyword or a website. There will be thousands of domain within seconds of work. It’s a cloud-based domain crawling service. You just have to input keywords related to your niche. Choose a country and a year in time. Afterthought, you’ll get the crawl list in a minute. The metrics you will get are Moz, Majestic citation flow, trust flow, and topical flow. Also, Backlink counts, subnets and domains, and referring IP. Moz domain authority, page authority, MozRank, and MozTrust. PBN Lab has a world-class data center with 10Gbps of bandwidth. You can run multiple jobs simultaneously. Furthermore, you have detailed crawl results in just a few clicks. They use hundreds of premium private proxies, therefore, crawl without any difficulty. There is no free trial available. The crawler supports more than 1,200 gTLDs. You don’t have to provide Majestic API or Moz API credentials. No need to pay additional fees. There is 7 days refund policy. You don’t use PBN Lab crawler as a bulk domain checker. 6. SnapNames: Search already taken and expired domains here. SnapNames is the internet’s domain name marketplace. You can access already registered domains online. They offer 30 million domain names annually in your budget. SnapNames helps their global customers get the domain they want when they need it! It has world’s largest inventory of domain name registrars. You will get free domain backorder service. You can place an order for a domain whether it’s available, registered or in an auction. Just place a backorder on the name. Since SnapNames try to buy for you. If the current owner decides not to renew after expiration. There is premium domain auction where you can bid on a domain you want. SnapNames also provides domain brokerage service. If you want to buy or sell a high-value domain. Here you get high quality expiring and deleting domain names. Most peoples don’t have any value for expired domains. But the peoples know about SEO or backlinks expired domains are money domains for them. You will get all SEO related data like backlinks, archive.org birth date and more. ExpiredDomains.net gives all information you need. To find the domain that is pending delete. You can backorder them. They also provide deleted domains or dropped domains with 387 TLDs. There is Related Domains service. Here you have to enter a word and find registered domains that are related to that word. The metrics you’ll get are SimilarWeb global Ranks, Majestics External Backlinks, DMOZ, and DNS status. 8. Dropping.com: High PageRank and High Traffic expired domains. Locate valuable domains in less time with dropping.com. They crawl expiring, auctioning and available domain names. These expired domains are valuable to domain investors, website owners, and SEO marketers. You will get 100+ data points per domain. That including PageRank, Estibot, Alexa, SERP, CPC, Search volume and many more. In addition, Dropping.com offers services like bid, buy and backorder expiring domains. Easy to use, preset filters, feeds based on user types. Dropping.com offers tools Whois, PageRank, backlink and industry sales report, competitive intelligence report and more. You will get 7.5 million searchable domain’s database. You wanted to generate passive income. Then create a private network of websites. The PBN created with the help of Expired Domains. There are also some websites to test damaged links. Xenu’s link sleuth assessments websites for broken links. In conclusion to get more traffic, use the existing authority and backlink of expired domains. Let us know which expired domain service or software is best for you. hope this article will solve your problems. You can share your reviews in a comment box. Hi all, just turned into aware about your current weblog by way of Yahoo, found it is truly beneficial. Let me look for belgium’s capital. I will enjoy for individuals who continue this particular in future.. seo consulting service A lot of people will likely be achieved positive results from the crafting. Kind regards! We have been numerous volunteers and cracking open a whole new scheme in your community. Your blog provided us helpful info to function about. You’ve got performed a new powerful endeavor as well as all of our complete neighborhood could be relieved to you blackboard aid. Thank you so much for giving everyone such a nice chance to read from this web site. It is always very sweet and also jam-packed with amusement for me and my office co-workers to search your site minimum thrice every week to learn the newest guides you will have. And of course, I’m just certainly astounded with your effective advice you give. Certain 1 areas in this article are in fact the most impressive I have had. I actually do think about all the thoughts you may have presented for your post. 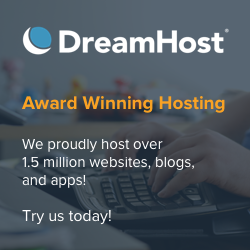 These are convincing and definitely will definitely work best hosting. However, the content are extremely limited education. May well you please lengthen these individuals a bit via next moment? Thanks for your post.